On 22 December 2015, the United Nations General Assembly declared 11 February as International Day of Women and Girls in Science. 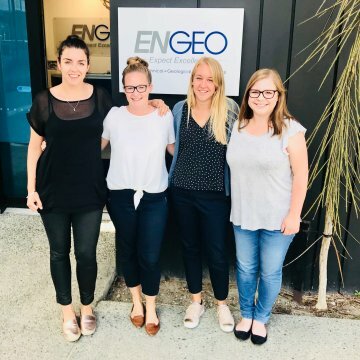 At ENGEO, we are proud to have a diverse group of talented female engineers and scientists. To celebrate this year, we sent out a short survey to our employees asking if they would share what they love about being in a scientific field, and what challenges they have faced in their careers. It’s great to work in a company where greater than 30% of the technical staff are female. What are some of the things you love about being in a science-driven field? I love the fact that I get challenged every day and that I can use my creativity to develop solutions to unique problems. I also love that what I do makes a difference by changing the world for good. I love being in a science-driven field because, as a geotechnical engineer, I get to think critically and do analyses that challenge me. I am also thankful to be in a field where I can never be finished learning. What are some challenges you’ve faced being a woman in a science-driven field? I was a site engineer for 8 years, often I was the only woman onsite! I had to improvise a few times! As a woman in a science-driven field, I am in many situations where men outnumber women. Sometimes this causes me to feel uncomfortable, but I try to use these situations as opportunities to challenge stereotypes and demonstrate that women have a place in the construction industry. What are some ways you use science every day? I get to look at soil and rock every day at metres and metres of depth below ground level – it seems pretty special to be the first person to look at core thousand of years after it last saw the sun. I use a microwave to heat up my food, I drive a gas-powered vehicle, I drink water that has been treated through physical and chemical processes. What advice would you give to young women interested in a science-driven field? Plenty of opportunities, explore them! Research your options. Do what you love to do. If science is what you are interested in, the sky is the limit and a good mentor can make a big difference in how far (and how fast!) you can go! In your opinion, what is the greatest scientific discovery?